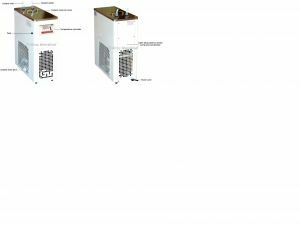 Product Description The Ai C15 -15°C 3L Compact Recirculating Chiller with Centrifugal Pump is the true thermostatic control laboratory chiller, this closed laboratory chiller is ideal for applications such as cooling rotary evaporators, analytical instrumentation, laser etching, ICP, vacuum systems, plasma etching and jacketed reactors. This system can also be used as a replacement to tap water cooling in laboratory applications. Ai C15 are compressor-based recirculating chillers that offer outstanding performance and high reliability as well as quiet operation and ease-of-use. Powerful force/suction pump provides constant flow rates, while microprocessor PID controller gives you the ideal solution when you need precise temperature control or cooling below ambient temperature. IMPORTANT! -15°C/5°F ULTIMATE TEMPERATURES ARE TESTED UNDER EMPTY LOAD CONDITION (NO ROTARY EVAPORATORS OR JACKETED REACTORS ATTACHED).